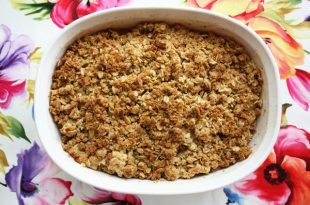 Skip the bagel and make this 100% whole grain apple crisp for breakfast with almost 2 pounds of apples and plenty of fiber. 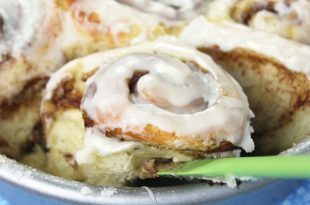 Soft and gooey homemade cinnamon rolls will be on your table pronto with my easy one-rise recipe. You can even start them the night before and bake in the morning. Skip the bagel. 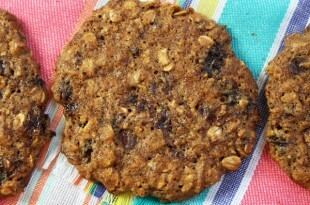 With more than 4 grams of fiber per cookie, this is a cookie with a mission. But wait, there’s more: It’s made with heart-healthy olive oil too! 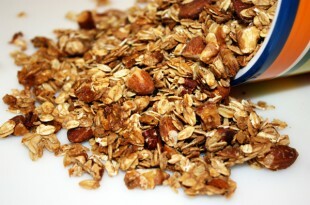 My simple granola recipe is hugely popular, probably because it’s the easiest homemade granola you can ever make. Combine everything right in the pan and bake. Done. 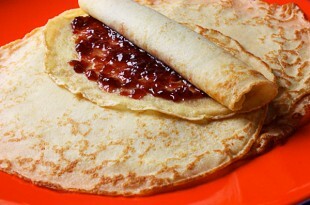 Forget the pancake mix. Make these from scratch in 5 minutes & they’re great with whole wheat pastry flour. Blueberries are good for your brain and for glowing skin. 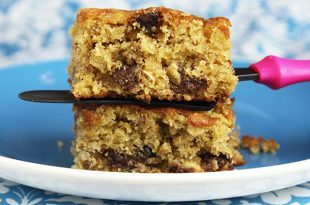 It’s all the stuff you want for breakfast: whole grains, oats, bananas, walnuts, okay… a few chocolate chips! It’s a quick & easy recipe and uses no butter. 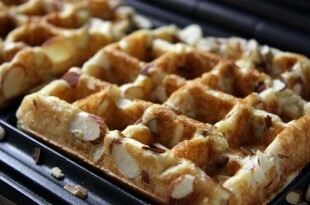 My 100% whole wheat waffles are made with olive oil and lots of crunchy sliced almonds baked on top for a healthy, high fiber and high protein breakfast. 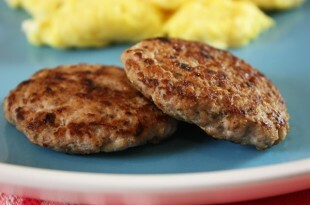 It only takes four ingredients to make these easy turkey breakfast patties. My simple recipe uses ground turkey, apple, sage, and thyme and takes just minutes to make. 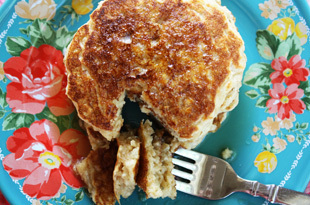 I put lots of diced Granny Smith apples in these healthy whole grain pancakes. They are soft and fluffy made with 100% whole wheat pastry flour. 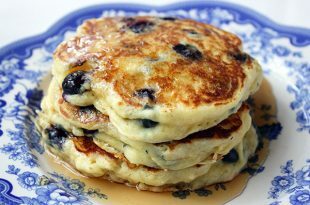 These 100% whole grain, high fiber pancakes take just minutes to make from scratch. Buckwheat flour has more anti-aging benefits than some vegetables. 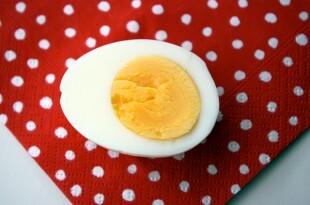 See how easy it is to make foolproof, hard boiled eggs every time that are easy to peel with no green ring. 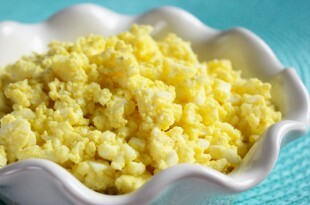 Eggs will give you shiny hair, strong nails, and glowing skin. 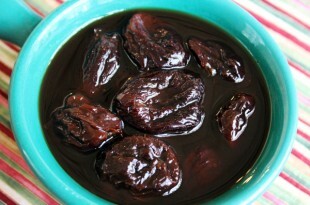 Stewed, moist prunes are great for constipation, but they also have antioxidants to prevent premature aging, protect the heart, and reduce the risk of cancer & osteoporosis. 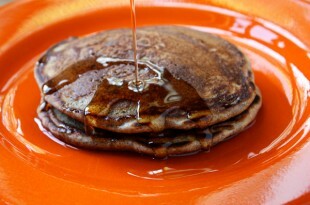 There’s lot of fiber in these 100% whole grain pancakes made with oats and whole wheat pastry flour. It takes 12 minutes to make them from scratch. 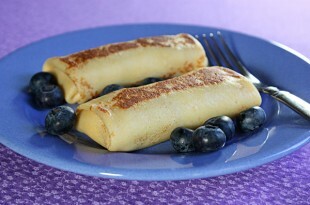 Easy, healthy, never greasy, cheese blintzes made with farmer’s cheese and a touch of vanilla, then lightly browned and served with fresh fruit – perfect for Sunday brunch. 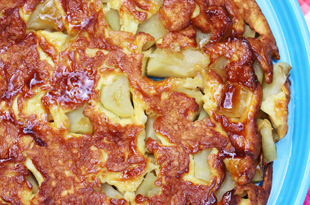 There’s more apple than pancake in this easy oven-baked breakfast. 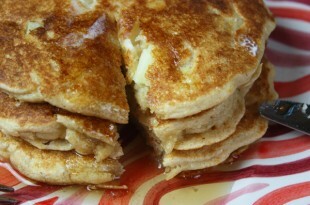 The apples are caramelized, then topped with a light batter and baked. It’s the ultimate healthy breakfast with protein and 3 servings of vegetables. Prep and cooking takes less than 20 minutes. 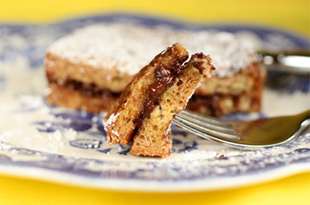 It’s like having dessert for breakfast but this healthy recipe uses whole wheat bread and heart-healthy dark chocolate. 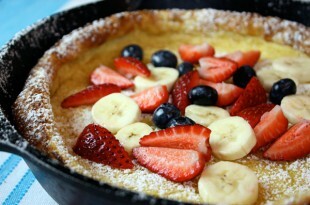 This eye-popping Dutch Baby is easier to make than you think and healthier, too. The only butter used is to grease the pan. So what did you have for breakfast yesterday? An all-fruit smoothie? A muffin? A bagel? Well they may sound good but they might not be good for you. An all-fruit smoothie will have too much sugar. A muffin, unless you make it yourself, will likely be made with white flour and lots of sugar, and a bagel had a lot of dense, high glycemic carbs and probably very little fiber. Any of those choices will have you in a slump before the noon lunch bell rings. Protein and fiber are what you need in the morning. The fiber will keep you full longer and the protein will keep your brain working at its best. 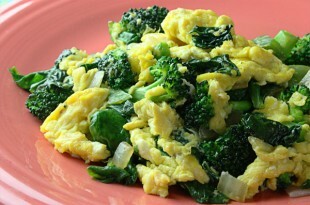 A good rule of thumb is to try to get 5 grams of protein and 5 grams of fiber with every breakfast. Add some fruit or vegetables and you’ll get even more fiber and a good dose of antioxidants. If you don’t have time to cook that’s okay. There’s nothing wrong with a good high fiber cereal with low fat milk, and some fresh fruit. There’s your fiber, protein, and fresh fruit. Skipping breakfast is not a good idea for your health or your weight. When I’m in a hurry I still manage to have a healthy breakfast of my homemade granola with milk and then I grab an apple as I head out the door. Even yogurt is better than no breakfast. 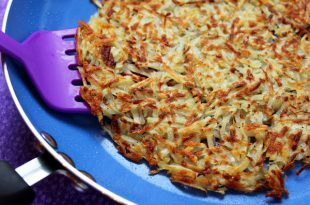 But when you have time, try making my whole grain pancakes or eggs with my foolproof hash browns.